If you live an active lifestyle, want to be close to all the action, or just want to live and relax by amazing beaches, then Tumon is the perfect place for you. Located in the north-central part of Guam, Tumon is Guam’s most popular vacation destination. It is the center for the island’s tourism and tourist attractions. Many of Guam’s visitors prefer the Tumon surroundings as it is located along one of Guam’s breath-taking coastlines, Tumon Bay. Tumon Bay is known for its warm, turquoise water, and abundance of tropical reef fish. Everything you’ll need to fulfill your island-style living is within close proximity. Everything from movie theatres, spas, grocery shopping, beaches, water parks, luxury shopping, and more are all close by. Anderson Air Force base and the U.S. Naval Base are both approximately thirty minutes away in the northern and southern regions of the island. Tumon is ideal if you prefer to be close to everything the island has to offer. Living in Tumon is great! The village offers an array of hotels, apartments, condominiums, restaurants, shopping, beaches, spas, and more. Everything you’ll need is in the area. Tumon provides a great combination of residential and hotel accommodations for all of Guam’s visitors and residents. You’ll find a healthy amount of apartments and condominiums spread throughout the village. The area is well maintained, providing a clean and tropical paradise escape. You will be taken away by all the beautiful surroundings and breathe-taking views. There is much for you to experience when living in Tumon. If you want to live close to the heart of the island’s nightlife, experience all the water sports and recreational activities, enjoy the beach, or indulge in all the luxury shopping opportunities, then Tumon is worth considering. The area is well suited for all walks of life. If you enjoy the serenity of beautiful beaches, Tumon Bay stretches 1.5 miles along Guam’s western coastline. The beaches are never overly crowded and there are many areas along the beach where you can select a spot to soak up the island’s sunshine. Taking walks along the beach during sunset are always popular and will provide you memories that last a lifetime. Tumon Bay is also known to be a great snorkeling experience. You will see many colorful tropical reef fish and swim in turquoise water that is crystal clear and warm. Aside from snorkeling, some other water activities you could enjoy are scuba lessons, windsurfing, kite surfing, sailing, kayaking, outrigger paddling, swimming, fishing, and water parks to name a few. If you’re more into keeping fit, Tumon Bay is the perfect location for getting various forms of exercise. There are at least two traditional exercise gyms located in Tumon where you can sign up for memberships. You can also enjoy an adventurous hike along the cliff-lines and experience areas of the island that are truly breathtaking. If running is what you enjoy, the beach is always nice, but Tumon also provides a safe and well lit sidewalk if you prefer not to run on the sand. If you prefer a more aquatic workout, Tumon Bay is safe and perfect for multiple forms of fun exercise. The nightlife in Tumon is not only the largest on the island but it truly is the heart of the island’s night scene. You will not have trouble finding different places to enjoy yourself and meet people. There are many themed pubs that provide live music and dance clubs playing all the latest beats and mixes. In addition, you can also enjoy various Vegas style shows featuring magic acts and show girls, cultural island dinner shows, and even mini adventure theme parks. Everything within Tumon is within walking distance but you can always choose to jump in taxis or trolleys which are abundantly available. With Tumon being known as Guam’s primary tourist destination, Tumon is the hub for the island’s luxury shopping adventures. You will have the opportunity to outfit yourself with all the popular luxury brands and the all latest fashion trends. There are many shopping outlets within Tumon for you to experience and enjoy. If you’re looking for more affordable shopping, you are still within close proximity to the island’s shopping malls. Living in Tumon will keep you both busy and entertained. 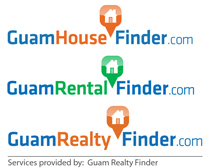 Tumon is well suited for all walks of life looking for multiple styles of living. It is great for adults looking for adventure and fun but is also well outfitted for families and children. Tumon truly is a luxurious paradise. Come and enjoy all the fun living in Tumon!